Secant Group engineers biomaterials to facilitate the repair, recovery and regeneration of the human body. Our mission is to continually advance biomaterials technology into practical applications for the medical device and pharmaceutical industries. 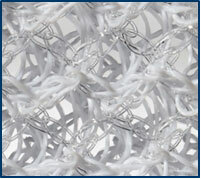 During the product development process, clients benefit from our cross-functional technical expertise in bringing together design, textile engineering technologies and analytical characterization of biomaterials to create medical components. Using advanced polymers, metals and resorbables, we develop biomedical textile structures that promote biological integration and encourage healing, while withstanding the internal stresses in the body. 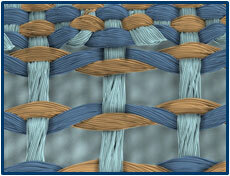 Biomedical textile structures are engineered with weaving, knitting and braiding technologies and can be shaped into unique planar, tubular or complex geometries with specific functional behaviors and performance characteristics. They mimic the body’s native structures and can be engineered to accommodate rapid integration within the body, shape memory, high-burst strength, porosity, resorbability, elasticity, compaction or low-profile properties. 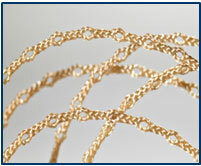 Secant Group is committed to the future of biomaterials and their role in the healing process. Along with our materials analysis team, our dedicated R&D staff works to advance next-generation biomaterial development. Our research team is currently developing a diverse biomaterial resin platform to support the ongoing needs of regenerative medicine. 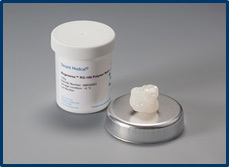 This bioresorbable elastomer, Regenerez®, has potential for tissue engineering in a variety of in vivo applications for cardiovascular, neurovascular, orthopedics and general surgery. 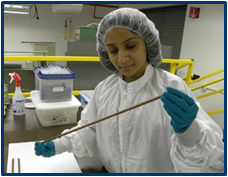 Our research is also focused on exploring new applications of existing biomaterials with an emphasis on transitioning biomaterials and process technologies from the laboratory environment to custom products and services. Secant Group continues to advance its biomaterials development, biomedical textile engineering and manufacturing capabilities to offer clients products that provide a sustainable value for the future. Our services are designed to streamline your product development path, from initial concept to design transfer and beyond. Our partnership with you is built on quality, responsiveness, communication and continuous improvement. We guarantee client confidentiality. As a trusted critical component partner, we are committed to your long-term success and seek to provide you with the resources to establish and strengthen your intellectual property position. ISO 13485:2003 registered. We are committed to the future of biomaterials and have enhanced material analysis capabilities to support biomaterials research and development, and address quality control needs. 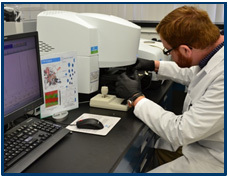 When assessing candidate materials for device development, we use state-of-the-art instruments that analyze the polymer interface, mechanism of degradation, and polymer performance characteristics.Our lab provides a variety of in-house advanced polymer analytical capabilities, including scanning electronic microscopy, infrared spectroscopy, and thermogravimetric analysis. Along with a dedicated research staff, our material science capabilities help further our goal to advance next-generation biomaterial development. Biomedical structures, engineered with the most suitable biomaterials, are advancing the design of orthopedic implants such as tethers, suture fixations, bone anchors and synthetic ligaments and tendons. Mechanical and biologic characteristics can be engineered into biomedical textiles, enabling them to serve as load-sharing scaffolds, minimally invasive containment vessels, or resorbables to promote osteoconductive healing. Implantable textiles engineered with a unique combination of biomaterials and structures can meet surgical demands for ease of delivery, precise fixation, ideal physiological response, and improved patient comfort to repair/reinforce soft tissue. 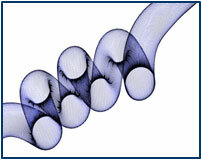 Working with a variety of permanent and absorbable fibers as small as 1 mil (25.4 µm), Secant Medical engineers can tailor structure functionality to achieve a desired tissue response in meshes for hernia repair and adhesion prevention, sutures for general surgical procedures, and other general surgery applications. 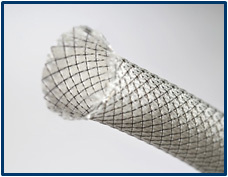 When designing neurovascular devices for aneurysm repair and ischemic stroke prevention, maximizing performance while minimizing the deliverable profile is critical. Implantable structures offer alternative options that provide the necessary shape-transforming and functional properties to engineer components with stiffness, precision, shape memory, expansion and compaction. Secant Group engineers minimally invasive biomedical structures that offer property variability and high-performance characteristics to impact biologic repair for a variety of cardiovascular applications. 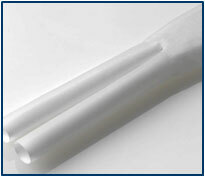 Certain materials (including hybrids) can be used as conductive materials and formed into tissue-engineered scaffolds to elicit a specific biologic response such as cellular adhesion or to control the level of in-growth, permeability or filtration for heart valve repair, endovascular repair and stroke prevention.